The next anime film getting the UK theatrical treatment is looming closer, and so are the cinema locations! 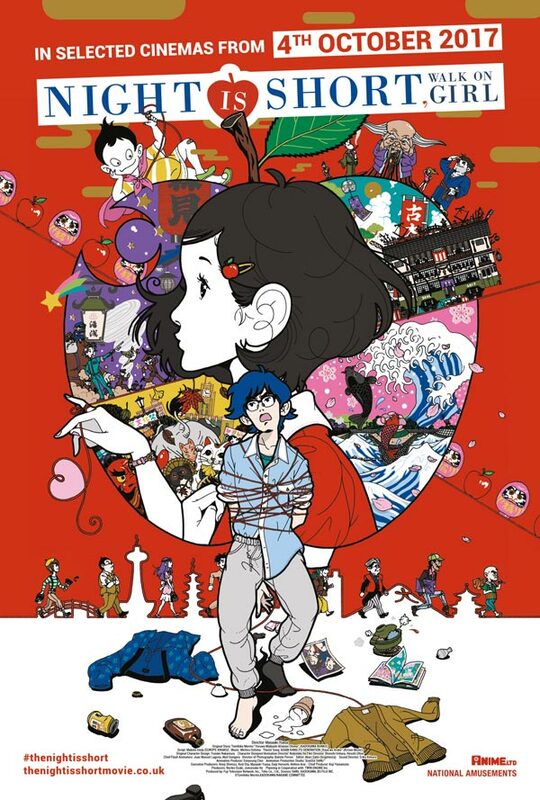 Back in May, Anime Limited announced they plan to theatrically release Masaaki Yuasa’s The Night is Short, Walk on Girl throughout the UK during 4th October 2017 and now the cinema locations are slowly being unveiled. The film had already received its UK premiere at both Glasgow and London with each performing very well as in addition to offering a Q&A with the director. The upcoming 4th October 2017 date will be the usual theatrical treatment that Your Name, A Silent Voice, Sword Art Online: Ordinal Scale, Fairy Tail: Dragon Cry, In This Corner of the World, Project Itoh: Genocidal Organ, and Napping Princess all received in the past twelve months. Here’s the story synopsis as a recap! Gracefully yet violently, The Girl with Black Hair (Kana Hanazawa) swirls through the abstract Kyoto night a joyful tempest. Blowing through pub crawls, festivals and book fairs, her youthful glee infects parties of increasingly eccentric characters, but amongst the debtors, existentialists and the God of the Old Book Market, can she be convinced “coincidental” encounters are fate and will she notice the Senpai (Gen Hoshino) in pursuit of her love? Whether the hands on your clock move fast or slow, The Night is Short, Walk On Girl. Without further due, here are the locations. The film’s main website is available to view here. Every location listed below all start at 19:00 (7:00pm). The locations listed below are all from their Cinema De Lux range. Every screening unless stated all start at 19:00 (7:00pm). The Night is Short, Walk on Girl will be available on 4th October 2017 in Japanese audio with English subtitles only. With The Night is Short and Perfect Blue finishing their theatrical screens and Fireworks is next, we have one more title to conclude the theatrical run for 2017. Anime Limited reveals home video details for Masaaki Yuasa’s The Night is Short, Walk on Girl! One of two Masaaki Yuasa films from 2017 is heading to home video this June, Anime Limited reveals the details! 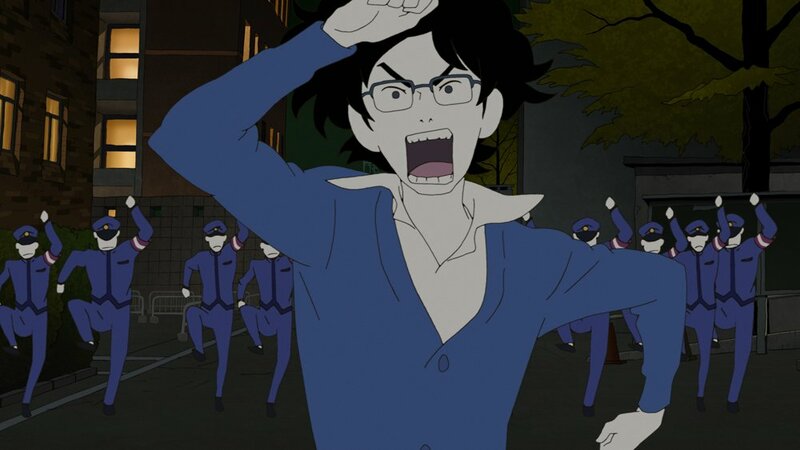 Night is Short is a real treat for fans of Tatami Galaxy, but even if you’re a newcomer there is definitely plenty to enjoy here. With a quirky and whimsical way of storytelling, the film is sure to win your heart. Earlier in the year Anime Limited announced they acquired the rights to theatrically release Masaaki Yuasa’s two latest films for the United Kingdom. Today their UK premiere dates have been announced!